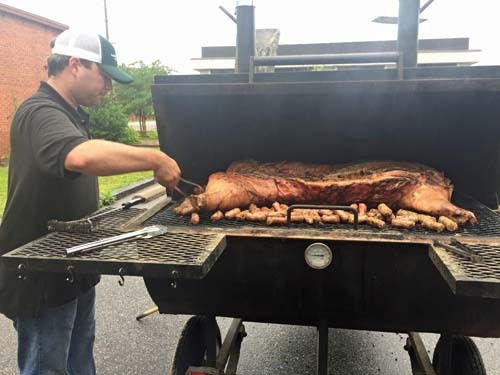 COLUMBIA, SOUTH CAROLINA – The grill masters at Callison Tighe were at it again, spending time over hot flames instead of at the courthouse in preparation for the annual Richland County Judicial Barbecue. 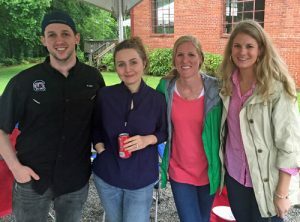 Serving as barbecue chefs has been a tradition for the attorneys at Callison Tighe that dates back about a decade. 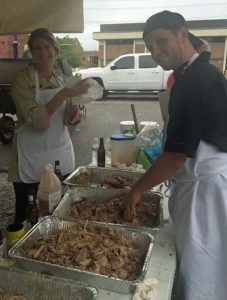 The lawyers roast pigs for the annual judicial fete, and last fall they also prepared a pulled- pork luncheon for more than 200 volunteers who helped Columbia recover from the city’s thousand-year flood in October. This year’s judicial barbecue was held at The Hall at Senate’s End. 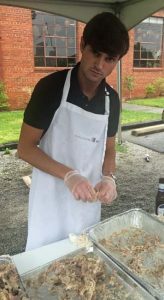 The evening also included installation of William Witherspoon as the new Richland County Bar Association president.